The Shady Porch posted my Quick Cinnamon Sugar Twists on her Facebook page. Stop by and "like" my entry if you get a chance and take a few minutes to poke around her page and her blog. 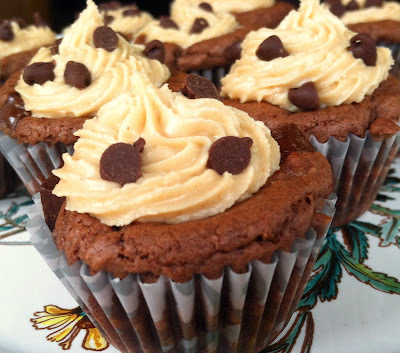 She's got some amazing recipes and fun crafts posted. Do you ever get tired of hearing the sound of your own voice? I know I do! "Pick up your bag, please." "Honey, take off your shoes." "Why are their leaves all over the kitchen floor again?!" I don't mind doing housework and keeping things tidy, but I insist that my family members do their share and I try to make sure we're all working smarter, not harder. After all, I don't want to feel like a broken record and I'd rather be having fun together than cleaning all the time or surfing through endless stacks of shoes, papers and coats. Enter my back hallway. Talk about wasted space. Before I cleaned for this picture it was basically a collect-all for baskets of dirty laundry (the gated door leads into the laundry room and cat box) and broken-down cardboard boxes for recycling. Oh, and book bags, piles of dirty shoes and other paraphernalia. The doorway I'm standing in to take the picture leads into the garage, and the door to the right of where I'm standing leads into the kitchen. This is the entryway that most of our guests and our family use to enter (even though we have a perfectly beautiful foyer, we're pretty informal). So the first impression on entering our home was of dirty cat box smells, piles of recycling and dirty laundry. Oh and dirty floors because a certain hubby insisted his shoes were cold if he left them out in the garage. It was driving me crazy and no matter how often I cleaned or how frequently I nagged this hallway always returned to the same messy state. And the mess usually spilled over into my kitchen. So over Christmas break this year my hubby and I agreed on an action plan that we could all follow through on and put it into place. Because training the kids is the easy party. Getting your spouse on board takes some negotiating. My hubby built the custom bench and hook boards using scrap wood from other woodworking projects. I created the no-sew bench cushion using a staple gun, a leftover sheet of plywood, 3" foam, batting and outdoor, washable material from Jo-Ann's. Check out this great tutorial from Honey We're Home. The rag runner is from jcpenney.com. The canvas pictures of our family I've collected over time as CanvasPeople.com has their free 8x10 photo canvas sales. And this silver tub holds our library books. Finally, everyone knows where they go and where to find them! Each family member has a plastic bin labeled with their initial to hold shoes. I love that these are plastic and not fabric as their shoes are always muddy and we can just hose the buckets out. I also loved the price (just $5 each at Target!) and the bright colors. This is the boys' spot across from the bench for hanging their coats and bags. The hooks are right at their eye level and they have plenty of space. Originally I was going to glue down the letters for their names but they have so much fun playing with them I just left them as they are. Plus the two-year-old is learning how to spell his name. For guests, we're going to add a second, higher row of hooks on the kids' wall. 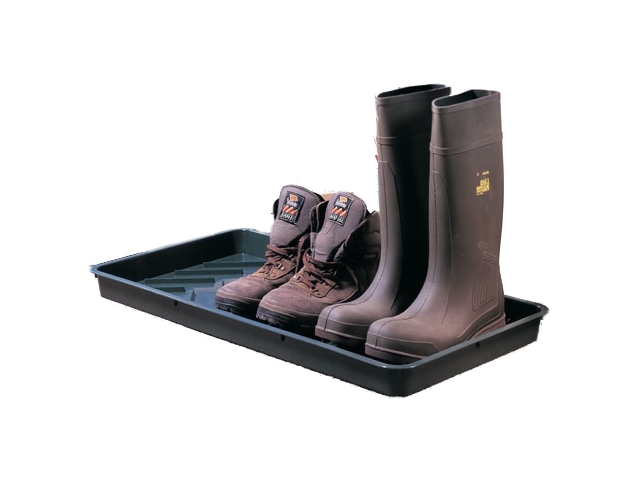 I'm also going to install these boot trays below the shoe bench to store guests' shoes when needed. We can slide them back under the bench out of sight when they're not in use. So far I've tried two different stores and they've been out of boot trays. I've heard from a friend that she got hers at the Container Store for under $10 each. Here are some closeups of the bench in case you're interested in making something similar. I love how it looks and feels like furniture, versus a built-in. And the final touch...a little felt basket for slippers ($11 clearance at Target). Shoes off; slippers on. Aaah. Now you're home. One last look. Notice the Wallflower plug-in on the left. Replaces the cat and sneakers smell with eucalyptus mint. :-) For the future we'll also be adding blinds to the window to help with heating and cooling. This might just be my favorite room of the house now. Here's a "before" and "after." Follow up post: controlling the paperwork chaos. Organizing letters, bills, mail, etc at the door. Thanks to Natasha at Serenity You for featuring this post! I love easy. I love healthy. I also love anything using Italian dressing because my boys will gobble it up. Make your own dressing for this recipe with either the dried Good Seasonings packets from the salad dressing aisle of any store or the Penzey’s Italian dressing mix. That way you can reduce the amount and control the type of oil you use. A prepared light dressing might work too. Just make sure it’s not too sweet since they usually add sugar to enhance the flavor. Serve Crockpot Italian chicken hot over a bed of brown rice (your freezer rice perhaps?) and with a few veggie sides for a complete meal. Leftovers freeze and reheat well. Just add a little more Italian dressing if the chicken gets too dry. You can also use the leftovers to make a Ranch Chicken Flatbread. Spoon the meat onto warmed flatbreads and top with chopped fresh tomatoes (or prepared tomato bruschetta from the store), lettuce and ranch dressing. 1.) Place the chicken in the bottom of a medium crockpot. Pour the dressing on top. 2.) Cook the chicken on low for around 5 hours. 3.) Turn the crockpot off when the chicken starts to fall apart and let the meat absorb the leftover juices. 4.) Serve over brown rice and with a veggie. Even my boys love this stuff. $5 off a $10 order: #00002C. Coupon good until May 28, 2012. Let me know if you use the coupon and what you get with a comment below. Happy shopping!